ARPACAY BACKPACKERS hostel is located in the centre of Prague in one of the most picturesque streets of the city that leads up to Prague Castle (120 m).The central location of the Hostel near Prague Castle means all of the major attractions in Prague, such as the Old Town Square and the well-known Charles Bridge (only 10 mins) are within walking distance. 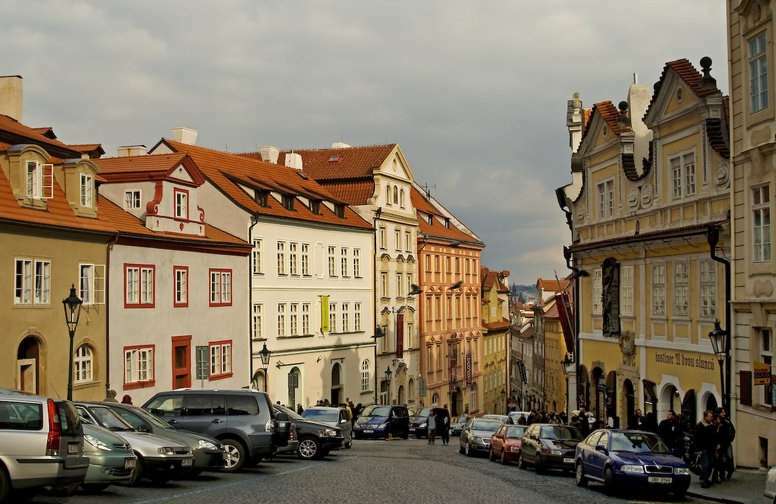 You will be surrounded by plenty of czech pubs and only a 15 minutes walk from the famous music club Karlovy Lazne. 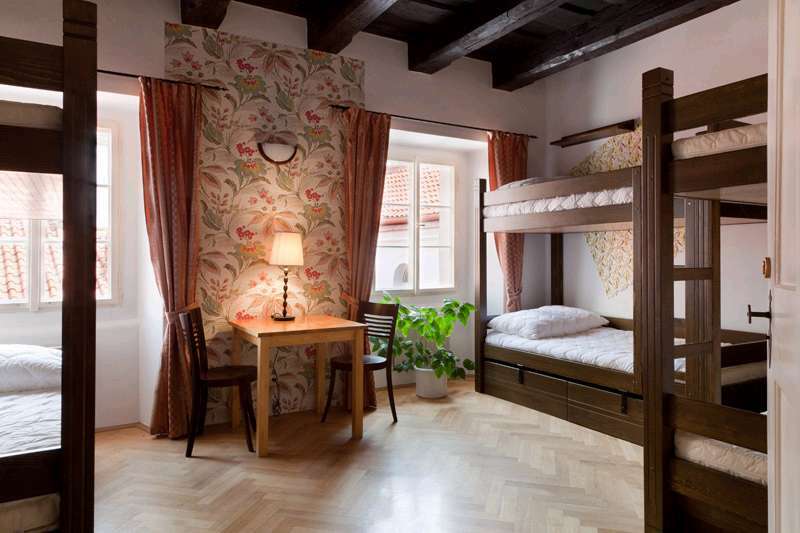 The hostel itself is situated in a unique historical building from the 16th century and you can enjoy an amazing view over the Lesser Town from your bedroom window. The hostel offers accommodation in a variety of rooms from a deluxe private twin/triple room to large dormitories. All hostel dorms are equipped with personal lockers and wooden beds with comfy mattresses, big pillows and reading lamps. We offer a buffet-style breakfast ("all you can eat" for the price 75 CZK/ 3 EUR) from 7 am till 11 am. Self-caters can make their own home-cooked meal in our fully equipped kitchen during the day. Wifi and 3 computers with free internet in our cosy stylish lounge will help you make your next travel plans. Or you can just relax on our comfy couches in a common room with a large LCD TV where you will meet a lot of travellers at any time during the day or night. A cold beer tastes the best on our courtyard balcony. Our reception desk is open 24 hours a day and we store your luggage any time you need. From the airport Praha - Ruzyne: From the airport take bus No.119 and go to the final stop Nadrazi Veleslavin. Take tram No. 20 and continue to the stop Malostranske namesti (make sure you get on the tram going in the correct direction!). Get off here and walk up the hill to the right along Nerudova street (the street next to the car park). Go about 300 metres and you will find our hostel on the right side in the pink painted building - you will also see Valoria restaurant in the same building. Go in and take the staircase on your right. The hostel reception is situated on the 1st floor. A ticket for all public transport costs 32 CZK (valid for 90 minutes once stamped) or you can get there by taxi for about 600 CZK (be sure to take an authorised taxi from the airport - the yellow taxis are normally fine). Cancellations should be made directly to the property AT LEAST 24 HOURS before your expected arrival time. If you fail to do this or in case of no-show, you will be charged the first night's accommodation cost. The groups of 15 people or more are required to pay a 20% deposit of the total amount in advance. Cancellation of the groups can be made at least 7 days before your arrival. In case of the late cancellation, the hostel will keep your deposit paid.